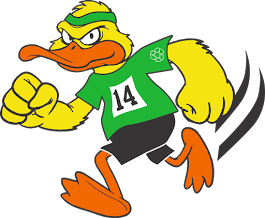 It's our 11th annual Duck and Run 5K! No gimmicks--just a well-run, certified, mildly challenging 5K. Saturday, September 20, 2014 at 8:00 AM at 125 East Street, Athens, AL. 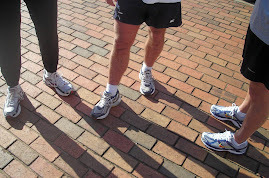 This mildly challenging race will take runners through historic Athens neighborhoods and through the Courthouse Square. Prizes will be awarded, including cash prizes! T-shirts: must preregister to guarantee size. Runners and walkers are welcome! Online registration is now closed. Late and race-day registration is $25. Fun Run registration is $10. Late registration and packet pickup is on Thursday, September 18th from 4:00 pm to 7:00 p.m at Fleet Feet Sports in Huntsviille and on Friday, September 19th from 4:00 pm to 7:00 pm at the the KALB office at 125 East Street in Athens. Race Day Registration begins at 6:45 a.m. 5K begins at 8:00 a.m. Fun Run begins at 9:00 a.m.
All race proceeds benefit Keep Athens-Limestone Beautiful, Inc., a 501(C)3 non-profit organization. You can also check out our Facebook event page. Join the event and let everyone know you're coming!